Colorful embroidery and glittering sequins add an opulent look to a barely there bodysuit tethered with slender spaghetti straps. 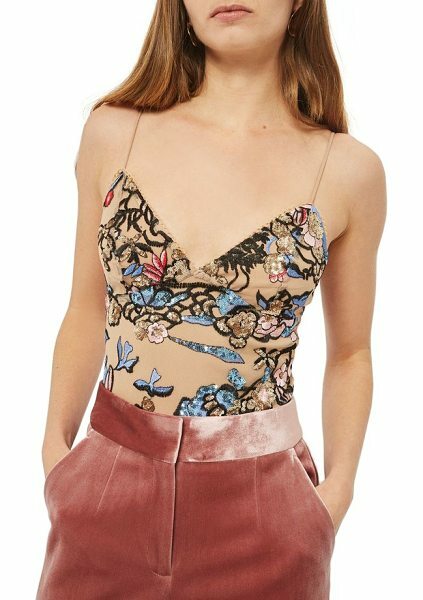 Style Name: Topshop Sequin Embroidered Bodysuit. 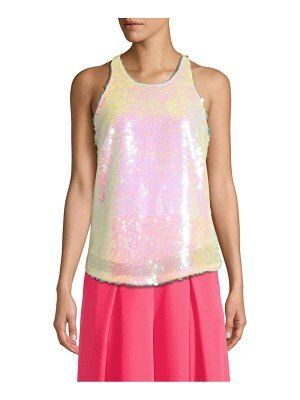 Style Number: 5528301. Available in stores.